The FabISP is an in-system programmer for AVR microcontrollers, designed for production within a FabLab. 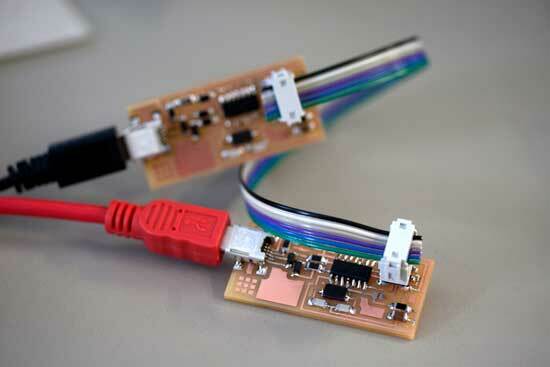 It allows you to program the microcontrollers on other boards you make. But what is an AVR microcontroller? 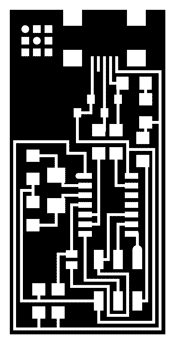 An AVR microcontroller is a type of device manufactured by Atmel. Ok but what is a microcontroller? A microcontroller is a single chip with build in features so it can run on its own, a mini computer. It sort of acts like the microprocessor on the motherboard of your PC but it does not need the motherboard or any other components to run. It is a lot simpler than PC microprocessor and deals with data in 8-bit chunks as its data bus is 8-bit wide. 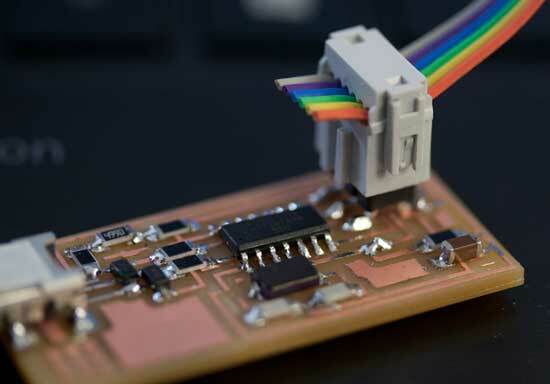 An 8-bit microcontroller like the AVR doesn’t usually have an operating system, although it could run a simple one if required, instead it just runs a single program. 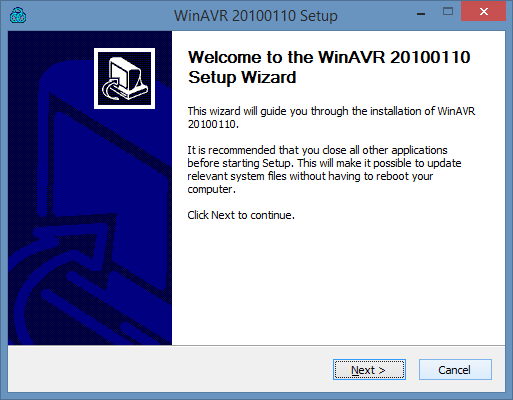 Loading this program into the AVR is done with an AVR programmer or another microcontroller that is already programmed using a USB cable and 6-pin IDC to 6-pin IDC cable. Most simple machine like washing machines use a microcontroller. 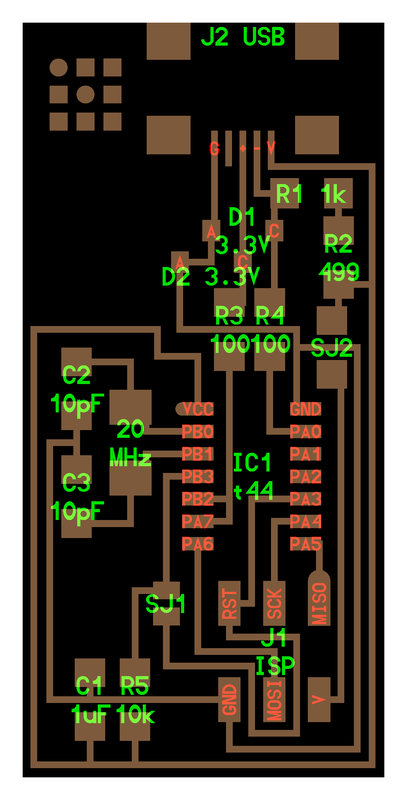 Click here for further basic info on microcontrollers and this article MICROCONTROLLERS: THE BASICS by Tom Igoe explains it well. 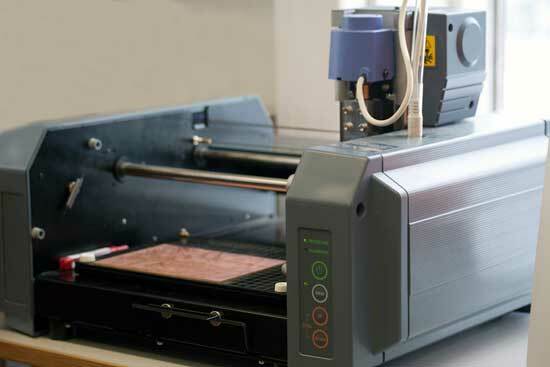 We will be milling the board using a precision desktop milling machine the Roland Modela MDX-20. Fasten your board with the special double tape provided. NO dust underneath. Make sure you have a sacrificial layer of material under your board. It will protect the machine and the milling bit when it cuts all the way through. Move the machine to the zero point pressing VIEW button. Now lower your bit with the allen key so it sits on the board. Fasten it carefully. (Note you might need to go first to step 8 if your board if far from the zero point. 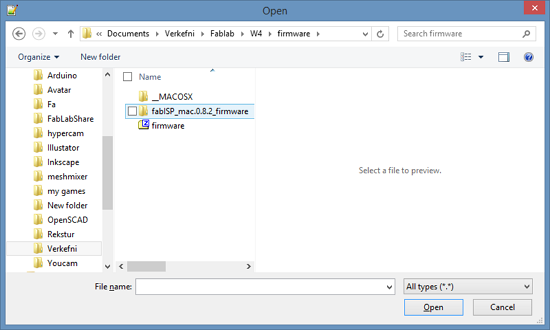 Next open the Fabmodules and from there set your starting point. Zero point is an absolute position in the lower left corner. You need to play with the X and Y values to find where you want to start. There are two files needed for the milling. One for the traces (the boards roadmap) and one for the cutting outline. The reason why it is in two files is that two different milling bits are required for each job. We need a small flat 1/64" bit for the traces. For cutting the outline we need 1/32" end mill (flat). The third one is to show the placement of the components. 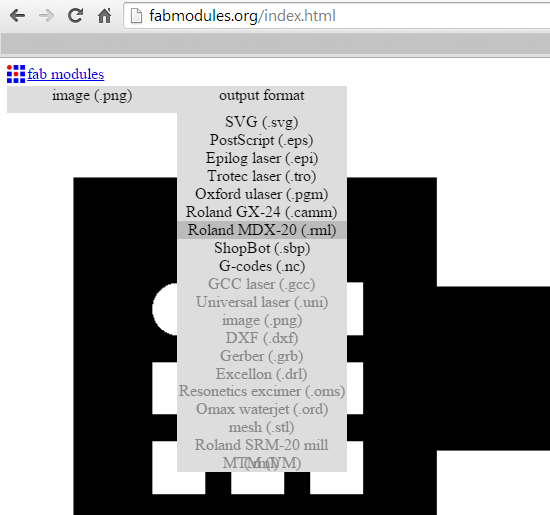 Use the FabModules to communicate with the Milling machine. PROCESS: Pick the milling bit. 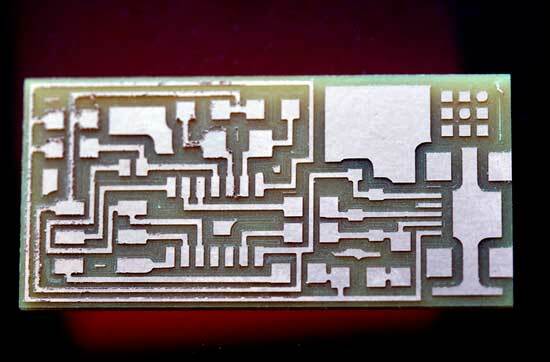 - For milling the traces we need 1/64"
Set the starting point. Zero point is an absolute position in the lower left corner. You need to play with the X and Y values to find where you starting point is. NUMBER OF OFFSETS -tells you how many rounds it will be going from the cutting line. NOTE: black will go - (black-hole). Make sure your paths don't overlap. Press SEND when ready and you're done! To see what what components are needed and where they are supposed to go we need the FabISP board diagram. Solder the components to the board using a soldering iron and solder. 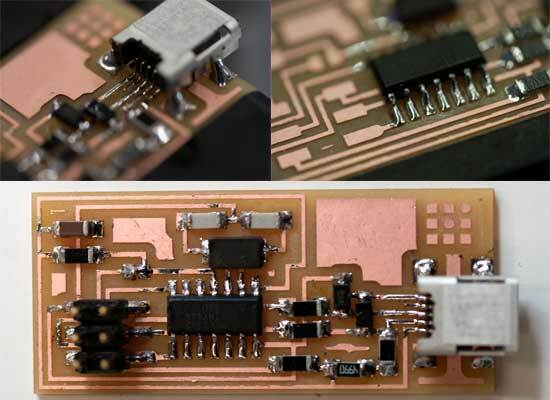 Use the handy copper wire to desolder. J2 USB is the mini USB header. Solder the mini USB header first. Solder the microcontroller second. NOTE: There is a little circle on the chip that should be facing to the top left or on the rounded end in Neil's diagram. 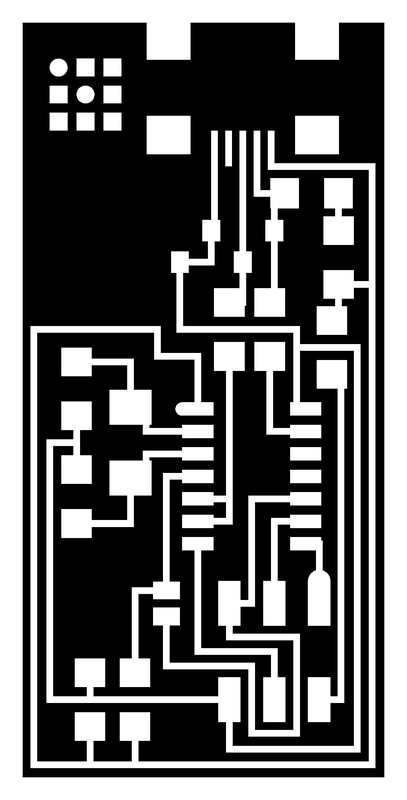 Components marked with a "C" on the diagram. Capacitors have no marking on them, be careful not to mix them up. NOTE: capacitors do not have polarity, orientation does not matter. 5. 2 Resistor 100 ohm NOTE: resistors do not have polarity, orientation does not matter. 9. One 6 pin header The components marked J1 ISP is the 6 pin programming header. Orientation does not matter. 10. 2 jumpers - 0 ohm resistors The components marked SJ1 and SJ2 are solder jumpers. 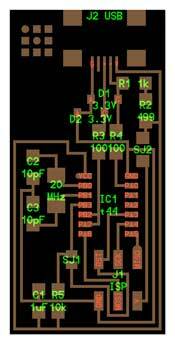 -SJ1 can be bridged with solder. 11. 1 Cystal 20MHz NOTE: crystals do not have polarity, orientation does not matter. 12. two Zener Diode 3.3 V Diodes have polarity the "C" or cathode -end is marked with a tiny line. Place the side with the line on it over the "C" side pad in the diagram. You may need a magnifing glass. First step before we start soldering we need to clean all the debris on the edges. Just use your fingers or tweezers. It is really handy to put the board in a clamp to hold it in place. Another nice trick is to keep all your tiny components on a sticky tape fastened to your components list. 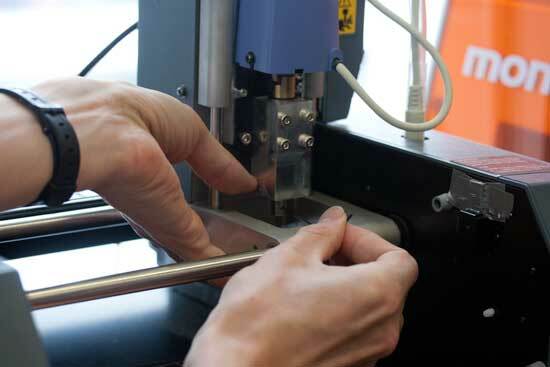 The best temperature for soldering circuits is to have the soldering iron around 260C. So in our case we kept it between red and orange. I found the soldering not too difficult, I guess that years of silver soldering helped. After finishing soldering I did a continuity test and the board worked fine. So next was to move to the programming. 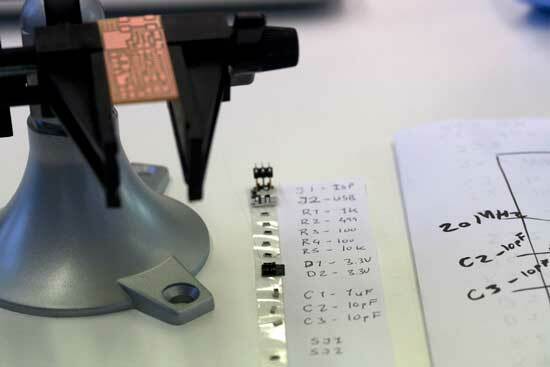 To be able to program the microcontroller we need to set a starting program on the chip. That allows us to communicate with it. That can be done with a AVR programmer which can be bought off the shelf but it can also be done with another FABISP which has been programmed already. 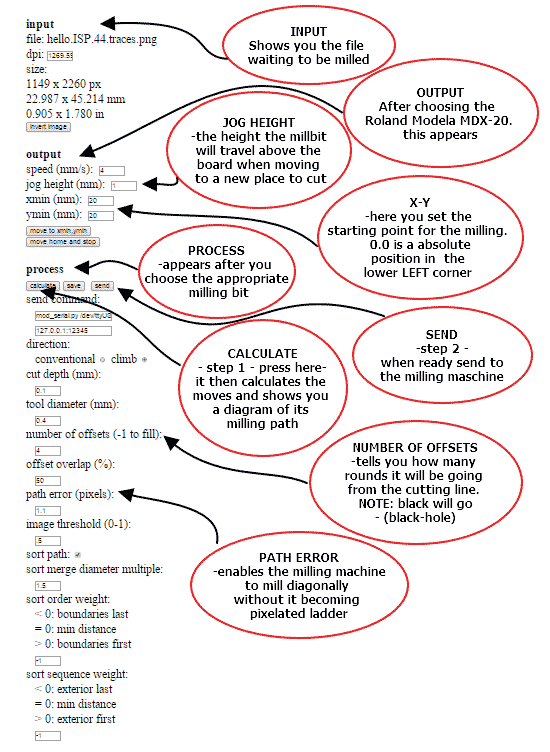 I followed the programming instruction given on the tutorial page. 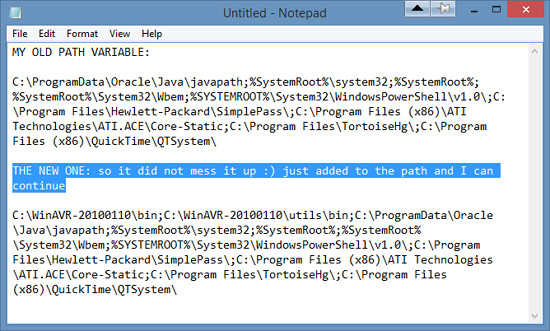 I use windows 8.1 and I had some issues with the compiler. Somethings still remain to be worked on. I finished the programming by using another computer. When making the cable make sure that the two 6 pin connectors face the same way on the wire. The two 6 pin connectors has two ridges on one side and that should always face microcontroller.
. NOTE: When connecting two boards together.that the same color wire needs to go on the same pin on both boards. 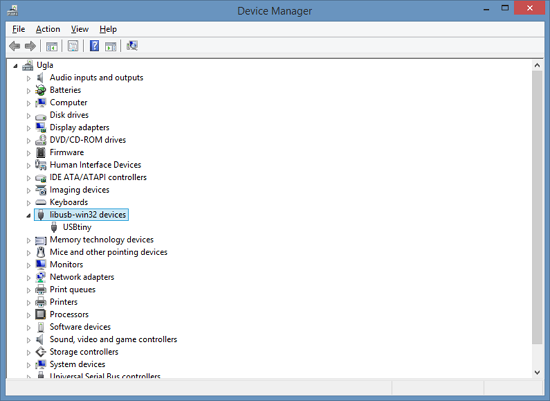 Next was to download the drivers necessary for my version of Windows and download the FabISP Firmware. All went well. Then I needed to edit the Makefile. The Makefile is in the firmware directory that I downloaded. I didn't find the file at first. It was disguised as a file for MAC. The Makefile is set up to work with the AVRISP2 by default. 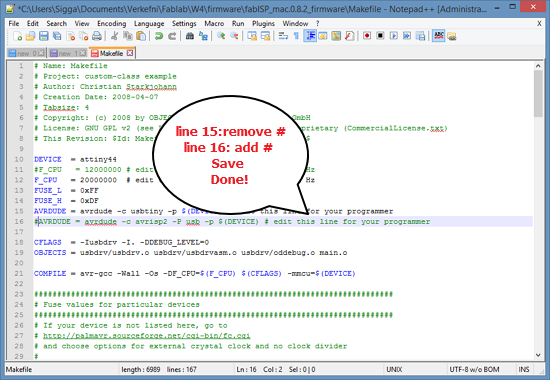 If you are using another programmer, you will need to edit the Makefile. 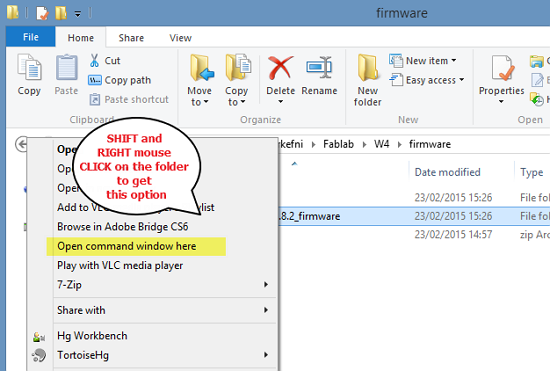 In the process I learn this trick: to open the command window in the correct folder SHIFT - right mouse click and you get this option. But when I tried to do the commands needed to program it. Like Make clean, it would not work on my Windows 8.1 PC . So I just moved to a friends computer and finished the process there. All went well. Since this electronic production is new to me I collected together on pintrest some of the interesting things I found using the circuit board. Here you can find this weeks's lecture on Electronics Production on VIMEO. 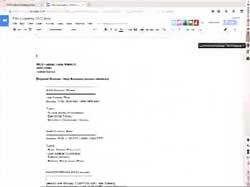 Here you can find the homework review for Electronics Production on VIMEO. 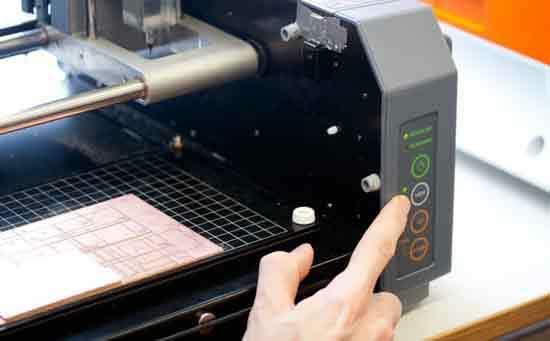 learn how to use a high precision milling machine - period, for 2D fabrication. Design files (only if you created a new design). 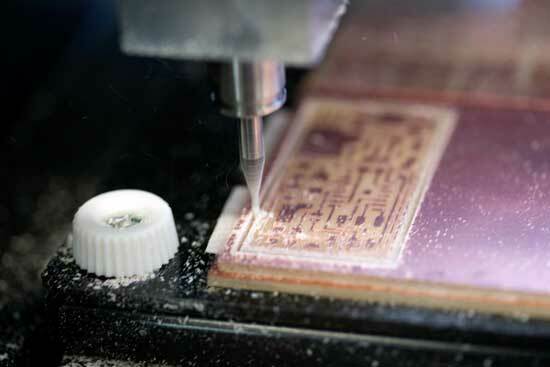 Learn how to use the Modela milling machine to fabricate circuit boards. 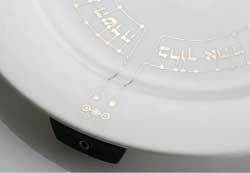 Intro to surface mount soldering and a little about the components. 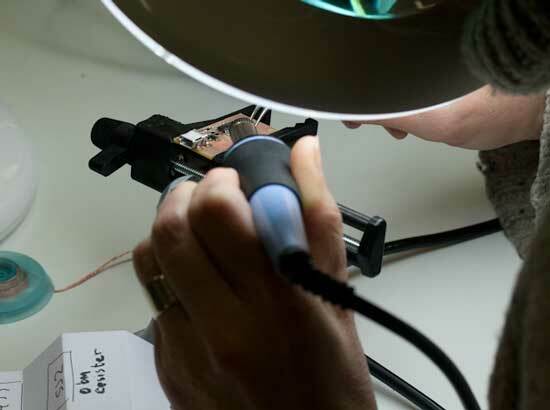 Understanding of basic electronics prototyping and digital design. Breadboards can have internal issues, hard to see connections, can break internally. Outliers: If board is not working, multiple efforts and troubleshooting steps taken, shown and documented.